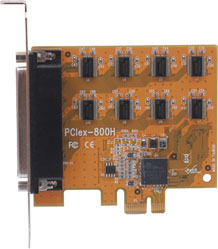 The VScom 800E PCIex is an add-on card for PCI Express, providing eight serial ports. 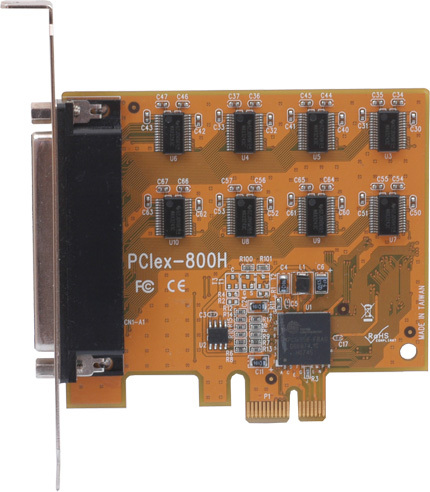 These high speed serial ports with their 128 byte long FIFO are best for high speed communication, even in heavy loaded systems. Many unique features reduce the system load. They also allow very unusual speed settings such as 500.000bps.